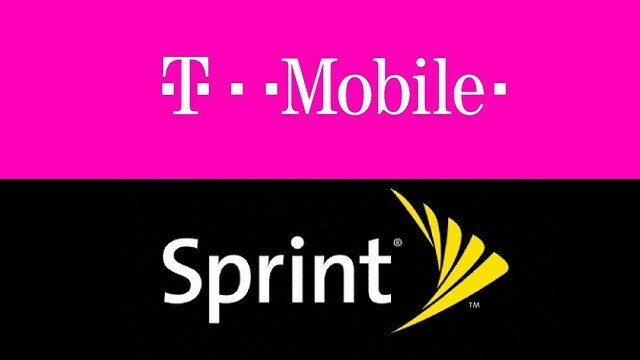 On April 29, 2018, T-Mobile US and Sprint announced that the companies would merge. In the telecom world, an announcement like this always means at least one thing: a really long engagement. After the companies come to a merger agreement, regulators get a chance to review the deal. By law, the Federal Communications Commission (FCC) must determine whether the proposed transfer of control will serve the “public interest, convenience, and necessity.” In its review, the FCC may impose and enforce narrowly tailored, transaction-specific conditions that address any potential harms of a transaction. The FCC will signal it is reviewing the terms of the deal when it puts it out for public comment, after which the FCC will start the informal 180-day shot clock on the deal. The Department of Justice will also review the deal, but on narrower, economically-focused antitrust grounds. This week, the filing by T-Mobile and Sprint was made official at the FCC. Now, we can take a look at what the companies officially claim will be the public interest benefits. In seeking FCC approval, T-Mobile and Sprint have promised in their public interest statement that the deal would create more jobs, create more consumer choice in video and business services, and bring about a world-class 5G service, all while lowering consumer prices and helping close the rural high-speed divide. If you've followed news of this merger at all, you know the two companies' pitch for the merger really boils down to one thing: 5G. T-Mobile and Sprint claim that in order to build the next generation of wireless networks, they need to combine (Please ignore the fact that both companies already promised to build 5G networks as have their major competitors, Verizon and AT&T). T-Mobile and Sprint wrote to the FCC that the proposed merger is necessary to accomplish a goal critical to enhancing consumer welfare in this country: "the rapid and widespread deployment of 5G networks in a market structure that spurs rivals to invest in a huge increase in capacity, and, correspondingly, to drop tremendously the price of data per gigabyte." They continued, the "New T-Mobile will be able to leverage a unique combination of complementary assets to unlock massive synergies in order to build a world-leading nationwide 5G network that will deliver unprecedented services to consumers, increasingly disrupt the wireless industry, and ensure U.S. leadership in the race to 5G." One of the big tasks ahead for T-Mobile/Sprint centers around market power in the wireless marketplace. AT&T and Verizon dominate the industry currently, so many see T-Mobile and Sprint as needing to convince the FCC of the public interest value in reducing the large carrier competitive market from four providers to three. Spectrum and Network. After building a nationwide 5G network, New T-Mobile will have strong incentives to use its new capabilities and capacity to seize previously unattainable market share in multiple segments of the converging wireless market (e.g., consumer, commercial internet of things (IoT), enterprise, and video) as well as to challenge entrenched incumbents in the in-home broadband market. And, with broader 5G coverage, New T-Mobile will be able to provide services that Verizon and AT&T cannot currently match in places that they cannot reach, particularly in rural America. Scale. New T-Mobile will be able to match Verizon and AT&T in scale and, for the first time, force them to compete with an aggressive competitor that can leverage comparable scale efficiencies to invest on par with them and engage in even more aggressive price competition. Broadband-Focused Plan. While Verizon and AT&T have pursued a wide range of divergent businesses, New T-Mobile claims billions of merger-related synergies will be reinvested into improving broadband connectivity for consumers, providing new broadband services, and lowering prices. Below we look at a few of the major parts of T-Mobile/Sprint's plan for New T-Mobile. Central to T-Mobile and Sprint's case is that as they combine their spectrum, cell sites, and equipment, they will create a network with more capacity than either company could achieve on its own. The companies say they will invest $40 billion in the next 3 years “to bring the company into the 5G era.” The combined company’s 5G network, Sprint and T-Mobile claim, will have more capacity than any network in history. "By 2024, the New T-Mobile network will have approximately double the total capacity and triple the total 5G capacity of T-Mobile and Sprint combined, with 5G speeds four to six times what they could achieve on their own," they wrote. The combination of T-Mobile and Sprint’s spectrum and sites will immediately provide New T-Mobile with more capacity for 4G LTE while simultaneously freeing up more spectrum for 5G. New T-Mobile’s incentive will be to use that 4G LTE capacity, rather than let it sit idle. As a result, New T-Mobile will be a stronger competitor for 4G LTE subscribers, a benefit that emerges in the near term, even in advance of 5G deployment. With their increased capacity, the companies argue, the New T-Mobile will have strong business incentives to engage in "disruptive competition." T-Mobile and Sprint say neither company alone can accelerate network deployment without the merger and, therefore, absent this additional competition in the 5G arena, Verizon and AT&T have little incentive to more aggressively invest in a robust, nationwide 5G network. However, T-Mobile and Sprint contend, an approved merger would drive Verizon and AT&T to hasten, expand, and enhance their 5G deployment plans. Since the additional capacity will decrease the marginal cost of each gigabyte of data, New T-Mobile claims it will be able to lower prices while increasing quality and value. The company will also be incentivized to leverage the network’s enhanced capabilities to cross-sell new services. Furthermore, New T-Mobile will be compelled to initiate this aggressive price reduction quickly and even before full deployment of its 5G network. The increased pressure to make use of added capacity appears in New T-Mobile’s financial plan, which calls for the company to provide a combination of greater value and lower cost for conventional data services and to continue offering subscribers more data each year without increasing prices. The companies say that consumer welfare will be enhanced further by Verizon’s and AT&T’s inevitable competitive response to this new strong competitor in the marketplace. New T-Mobile’s lower pricing will provide those potential customers a greater value for their dollar. The pressure of being outperformed in terms of both price and network quality will force Verizon and AT&T to drastically accelerate and expand their 5G deployment plans and quickly lower prices, enhancing—not harming— competition to the benefit of consumers. "Substantial benefits in quality-adjusted price, recognizing that the increased investment in 5G, and the resultant increase in 5G coverage means the connection quality aspects of New T-Mobile, including speed, latency, and configurability will be a substantial improvement over the combined standalone case." Finally, T-Mobile/Sprint insist that with the increase in scale will come the creation of thousands of American jobs. "The merger will create more jobs at New T-Mobile from day one and going forward than T-Mobile and Sprint would have on their own," the companies wrote. T-Mobile and Sprint also pointed to Verizon and AT&T getting into other businesses, and said this was not their strategy. Rather, New T-Mobile will be focused on faster, cheaper broadband. "Verizon and AT&T are investing in a wide array of businesses in recognition of a converging broadband market, and therefore their interests and resources are spread across a lot of areas," T-Mobile and Sprint said. (AT&T has just closed on its deal to acquire Time Warner and its programming assets, for example.) "New T-Mobile will be laser-focused on improved broadband connectivity at a lower price," the companies said. "This means New T-Mobile will not be coordinating with AT&T, Verizon or other large players to increase prices or restrict the amount of data delivered per dollar." The higher speed and cheaper cost broadband option by New T -Mobile will enable many people to 'cut the cord' from their cable providers. T-Mobile and Sprint wrote that, "New T-Mobile’s robust, nationwide 5G network will eliminate the speed and capacity differential between mobile and in-home wired broadband for many Americans, accelerating the trend of cord-cutting as consumers use mobile as their only access to the internet." “Today, 19 percent of households could eliminate their home broadband subscription entirely by tethering on a T-Mobile two-line plan. New T-Mobile will accelerate this trend by providing an increasingly viable alternative to in-home broadband. By 2024, 35 to 45 percent of households could completely eliminate their home broadband subscription and rely on New T-Mobile for all their broadband needs,” T-Mobile and Sprint wrote. New T-Mobile would become the nation's 4th largest in-home Internet service provider. Additionally, T-Mobile and Sprint claim the New T-Mobile will encourage the launch of new mobile virtual network operators (MVNOs -- think Republic Wireless, TracFone, Virgin Mobile, Cricket, Boost Mobile, etc.) that can better reach unique customer segments. Moreover, the companies believe the transaction will allow New T-Mobile to enhance the value proposition of MVNOs that use its network—the benefits that accrue from the new, advanced network to New T-Mobile’s subscribers are advantages that New T-Mobile’s MVNO partners can also use to compete more effectively. The Senate Judiciary Committee's Antitrust Committee plans to hold a hearing on the deal June 27. You can be sure to follow along daily with the news of the merger in Headlines.